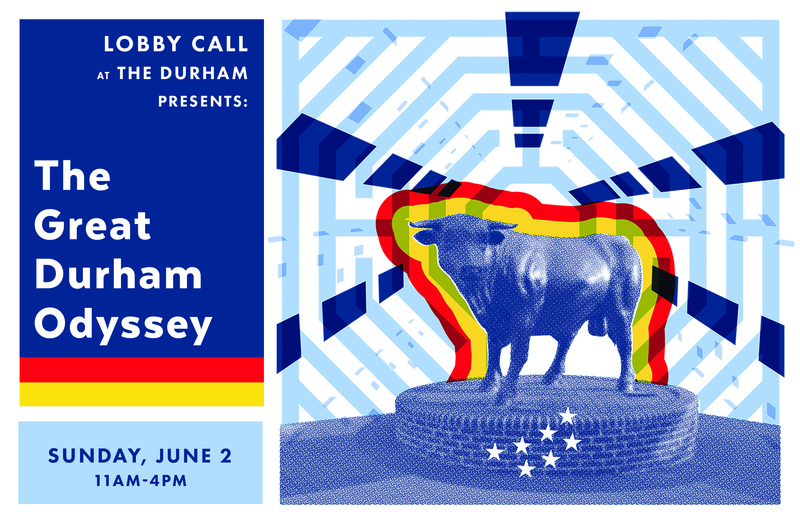 Assemble your all-star team and join us for The Great Durham Odyssey on Sunday, June 2, a celebration of the sesquicentennial hosted in partnership with Durham 150. Our multi-faceted series of challenges, set across the downtown landscape, will test your knowledge, creativity and comradery while promising to teach you a thing or two about the City of Durham’s 150-year history. Sign up for June 2nd Odyssey HERE!! 1 sign-up application per team. All ages encouraged to participate. **Don’t have a pre-fab team at the ready? No worries, our sign-ups are now open to individuals, pairs and triplets too! Fill in the application here and we will match you with some pro teammates for a fun-filled Durham-centric extravaganza. Durham’s sesquicentennial, a yearlong celebration of the City of Durham’s 150th anniversary of incorporation in 2019, encourages Durhamites and visitors to explore themes of history and education, innovation and entrepreneurship, social equity and robust democracy, as well as arts and leisure. The year of celebration is supported by the City of Durham, Discover Durham, the Museum of Durham History, as well as the generous contributions of Durham residents, businesses, and organizations.